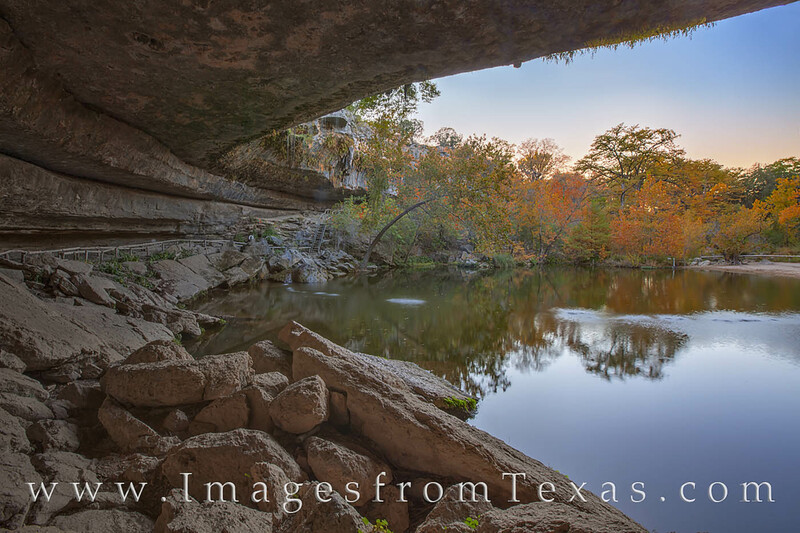 Hamilton Pool is only a few miles from my house in the hill country. I stayed there as late as allowed on this evening to shoot the fall colors before finally being escorted out by the nice park ranger. The evening was calm and the colors were beautiful, and best of all there was no one else there - probably because it was so cold. Photo © copyright by Rob Greebon.